Born 7th August 1949 in Johannesburg, Matthew Parris was educated in Britain and Africa, graduating from Clare College, Cambridge and going on to study International Relations at Yale. Two years at the Foreign Office were followed by a spell at the Conservative Research Department. From 1977 until the 1979 General Election, Matthew Parris was on the staff of Mrs Thatcher’s office. 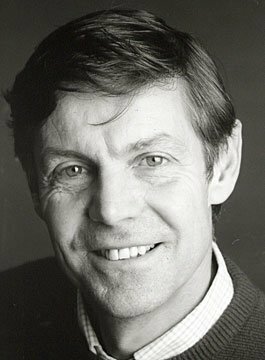 Elected Member of Parliament for West Derbyshire in 1979, Matthew Parris gave up his seat in 1986 to become presenter of LWT’s Weekend World, a political interview programme. Matthew Parris was the Parliamentary Sketchwriter for The Times for nearly fourteen years but gave it up at the beginning of 2002 though he remains a columnist for the paper. He also writes for The Spectator on a regular basis and for other magazines occasionally. He is a frequent television and radio broadcaster. His first book, Inca-Kola in 1990 was about his travels in Peru. Among the many books he has written since then is Great Parliamentary Scandals and Scorn, a book he has edited of curses, jibes and general invective. His autobiography Chance Witness was published in 2002 and won the Politico’s Book of the Year Award. In 2004, Matthew Parris became Writer of the Year in Granada Television’s What the Papers Say Awards. In part, the reward was for reporting on elections in Iraq and Afghanistan. He led expeditions to Mount Kilimanjaro in 1967, 1989 and 1996; to Zaire in 1973, the Sahara in 1979 and to Peru and Bolivia on several occasions. In 2000 he spent four months on the remote sub-Antarctic island of Kerguelen. A keen runner, Matthew Parris has competed several times in the London Marathon, achieving two hours thirty-two minutes.